II. Morality- he is one who endowed with virtues and morality. It is the basic essential of all meritorious deeds. Leader should be a person who has virtues to do good things for his followers and correct them. Otherwise, he is not worthy person for a leader. He will do any mistakes and wrong things himself, at the result of this his followers or his society cannot become progress and success. III. Renunciation- he gives up or renounces his wealth and properties and worldly pleasures to get rid of worldly fetters on his way to Enlightenment. To become a Buddha. One who attaches to his properties and worldly pleasures cannot become a Buddha. IV. Wisdom- one who doesn’t have wisdom or knowledge cannot become a leader. As he was illiterate, he cannot manage anything and cannot guide and show the correct way and correct understanding. No one wants to follow to one who doesn’t have knowledge and wisdom because wisdom can help anyone or any society to develop and progress instantly. 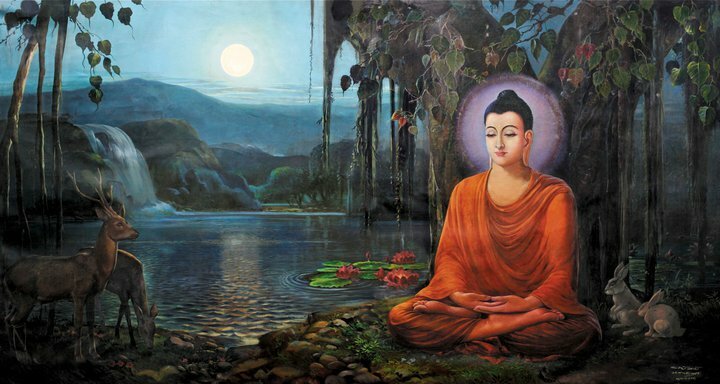 The Buddha was a greatest leader because he had fully wisdom and knowledge. For that he can show and guide his followers the way to happiness. V. Energy or perseverance- leader must have this quality, perseverance. He is not a lazy person not wasting his precious time. He does his jobs right now but not postpones another day. He never gives up anything which is difficult because of his energy. Because of energetic person, five-hundred caravans were survived (ex. In the Apaṇṇak Jātaka) this is the quality of the Buddha. VI. Tolerance- leader has the endurance of suffering caused others and forbearance of other’s mistakes, scolds, gossiping, insults, abuses, shove and so on. He never become furious one and doesn’t allow thoughts to come his own mind and heart. On the other hand, he corrects them, guides them and show way to the end of suffering. This is the quality of the Buddha, too. VII. Truthfulness- leader never tell lies and harsh words, malicious words and meaningless talk and frivolous talk and abuse words in his whole life. He always avoid from speaking those kinds of speeches. He never speak those evil speeches which can harm and break others and harmonious and unity of society. On the contrary, leader always says good words such as polite, pleasant, gentle, sincere, truth, sweet and kind words, which can develop and bring harmonious life and community and happiness, not only to his followers but also to all living beings. Leader knows that “a harsh word can wound more deeply than weapons.” the greatest leader, the Buddha, taught “a pleasant speech is so sweet like honey, truthful speech is so beautiful like a flower and unpleasant and untruthful speeches are unwholesome like filth.” This is a quality of the Buddha. VIII. Determination- leader must has a strong determination or resolution to face and overcome any difficulties and problems so that to get immense achievements. One who doesn’t have such strong determination will easily give up any difficulties and problems and even if not much difficulties and problems as well without using his even a small effort. 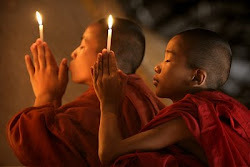 Leader, the Buddha, has unshakeable and (sturdy) strong determination. 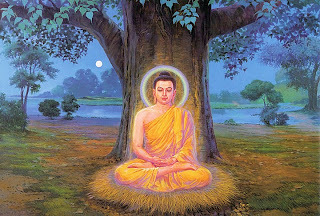 For instance, “although my skin, my bones and my nerves and my flesh will waste away and my blood go dry I wouldn’t leave and stand from this seat till I have gained the Enlightenment, Highest Wisdom which leads to real Happiness, Nibbāna.” This is also a great quality of the Buddha. The Buddha has this great quality, too. 10- Equanimity- it is not much easy to for me to explain for this and not easy to cultivate this quality. The literally meaning is “Having a balanced mind which withstands both pain and pleasure, praise and blame and fame and defame and happiness and sorrow.” this means when leader is doing something which is beneficial and useful for welfare of others, he definitely has to face good and bad situations and environment or society, at the time, he doesn’t need to care of them but he has to do his work until to achieve without hesitation. While he is doing the benefits of living beings, he would undoubtedly face “Eight Vicissitudes”, namely, “gain (lobho) Loss (alobho) fame (yaso) defame (ayaso) praise (pasamsa) blame (nandi) happiness (sukha) sorrow (dukkha).” Sometimes, he is so happy, at the time, he satisfy himself much but is unhappy or sorrow, too, by this time, he extremely depress and downhearted by nature. This is unavoidable or inevitable in this world. He has to understand and cultivate equanimity like greatest leader, the Buddha. This is a quality of Buddha, too. 3. Endowed with wisdom and conduct. 5. Knower of the three worlds. 6. Incomparable leader of persons to be tamed. 7. Teacher of gods and men. 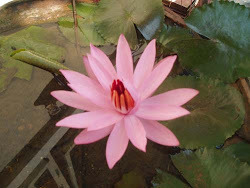 On who is cultivating and developing Ten Perfections to become a Buddha is called Bhodhisatta. This is one of the ancient proverbs. According to Myanmar Buddhist Pāli Text.